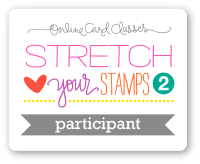 Thank you for stopping by here is the card that I made for Day 2 of Online Card Classes Stretch Your Stamps 2. (I am a little behind) For this card I put my spin on the example that Jennifer McGuire did for her card. 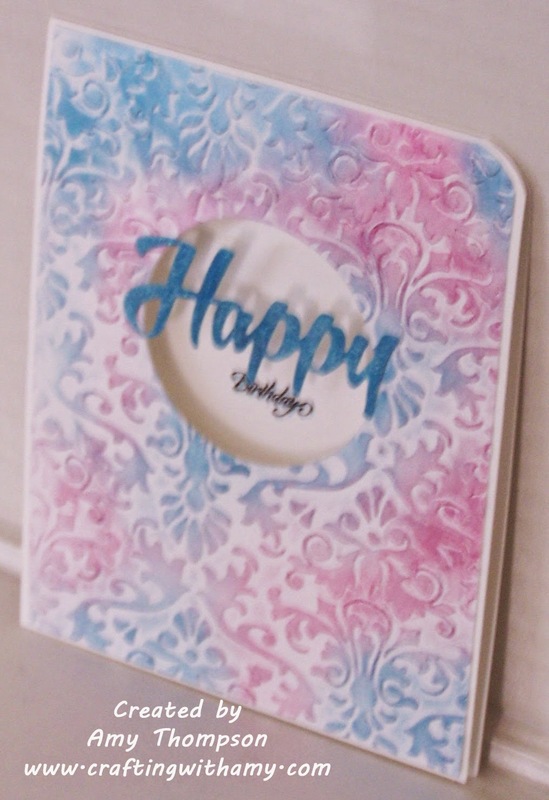 I used Perfect Pearls in Blue Raspberry and Pink Gumball to color the embossed background I rubbed some Versamark ink over the embossed image. I cut out the Happy from My Creative Time Happy Thoughts and then rubbed some Distress Ink in Tumbled Glass and then some Recollections Sparkle Embossing powder. Thank you for stopping by and I hope you enjoyed my card today. 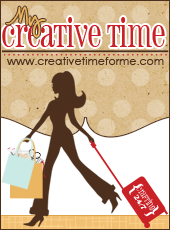 Please check out this weeks challenge over at Fantabulous Cricut Challenge Blog. Love the colouring technique on the embossing and the floating die cut!